MRes Student in Biomedical Science and Translational Medicine with LOORG for 12 months. Project title: Modelling uveal melanoma using the chick embryo model. Previously studied with LOORG for three months in the summer of 2017 during undergraduate degree. Graduated from the University of Liverpool with a degree in Biological Sciences. Studied biomedical science at LJMU. MRES student with LOORG for 12 months. Project: Modelling rhabdomyosarcoma using the chick embryo model. A second year University of Liverpool student, studying a BSc in Biological and Medical Sciences. Whilst in the laboratory completed a 4 week studentship with LOORG, investigating the use of the chick embryo model to profile a specific cell line of uveal melanoma under normoxic conditions. 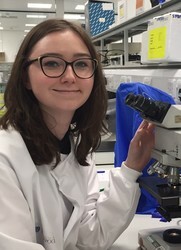 4 week Nuffield Research Placement Scheme Which involved cases studies on the light microscope and histopathology learning to recognise different types of cells, immune cell markers and morphology of tumours. Lab work such as using the Microtome and placing them on slides, using pipettes and working on cell culture linings. 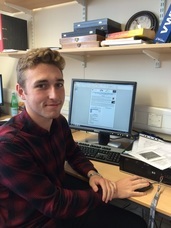 Second year student at The University of Liverpool studying a BSC Hons in Genetics. Recently completed a 6 week summer studentship for LOORG which involved validating single nucleotide variants detected by targeted next generation sequencing of uveal melanomas by Sanger Sequencing. Arya studied genetic typing of primary uveal melanoma cells that have given rise to uveal melanoma cell lines. 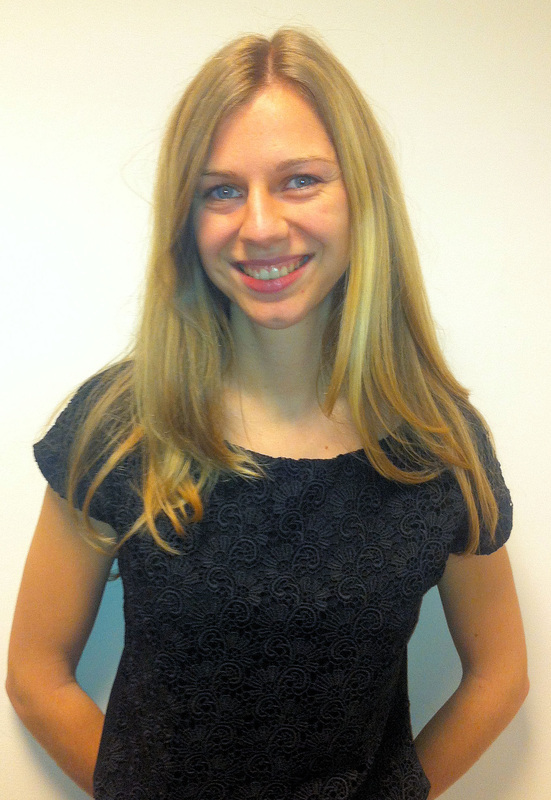 As an intercalating student, Isabel joined the group in October 2012 on a six month placement from Germany. During her time in Liverpool Isabel worked closely with Dr Sarah Lake carrying out DNA analysis work, before joining Professor Heimann at the Royal Liverpool Hospital as part of her clinical training in ophthalmology. Visiting french student , Amélie Fréneau, completed a three month placement in August 2012, examining DNA mismatch repair genes in non small cell lung cancer. 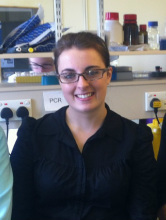 Amélie focussed on immunohistochemistry during her time with the group, having recently completed a degree in Biology. Amélie will now go on to study a Masters in Pharmacogenomics at the University of Montpellier.